Whether your facility is large or small, we can provide you with an Access Control Solution designed around your specific needs. Offering both open & closed architecture products, our solutions are sure to make the most of your existing investments. 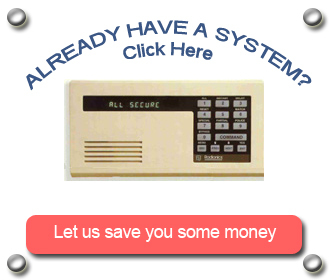 We have cameras for virtually any situation that cover a wide variety of applications including access control. Solutions are available for healthcare, facilities management, government, general office and retail, just to name a few. Austerity measures have dramatically reduced municipal law enforcement and emergency crew response times to break-ins and other emergencies.Combined with heavy false alarm fines, not many can afford an improperly installed alarm system. Meeting NFPA standards will help ensure your fire alarm system will operate properly in the event of an emergency. Our testing, inspection and maintenance programs will help ensure that your system can be depended upon in an emergency situation. In this day and age of increasing violence in the classroom, workplace and public venues, the importance of getting the message to those at risk during these events can no longer be ignored. Our new Advanced\AES IntelliNet communications system is a wireless mesh long-range radio system that is self-healing and self-routing. 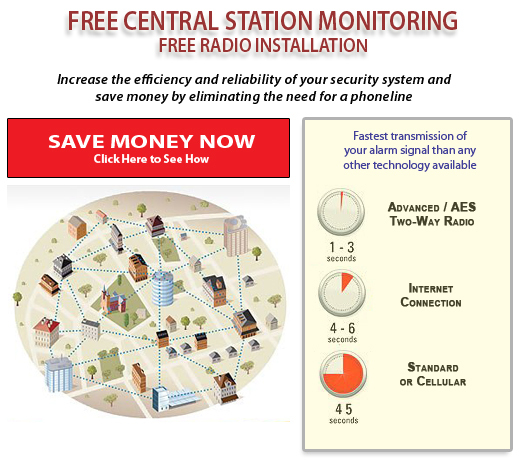 The technology is capable of re-routing alarm signals through multiple paths to insure that all signals are reliably communicated to the Central Station.